Mr. Byrne, When you devised Snowbird did you research into Inuit mythology? I'm a student of world mythology myself. 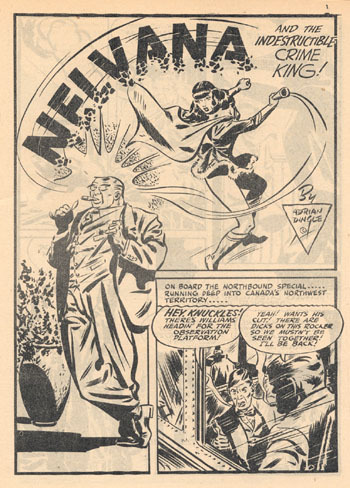 One of these characters was "Nelvana of the Northern Lights", who took her name (and little else) from an Inuit goddess. The mythology in ALPHA FLIGHT was derived almost exclusively from this. If you read between the lines, in fact, you will discover that Nelvana (the Canadian Whites character) was Snowbird's mother. Never knew about all this. Interesting tale. The hidden truths behind the characters you thought you knew. Sounds like there should be a VH1: Behind the Comics series. Must be a whole pile of fun stories like this out there. For Marvel, DC and other companies. That's a pretty neat connection. From the "Brilliant Minds Think Alike" department, I recall Kirby making a cross-company connection by writing between the lines that Captain Victory was Orion's son. I like the "Behind the Comics" suggestion. I'm kind of amazed at how few documentaries there are out there about comic books and comic book creators. Other than Comic Book Confidential and Crumb, nothing else springs to mind. There really are a lot of stories out there that would make for fascinating films. I have always wanted to see John Byrne draw the Russian God PERUN., He's like a Rus version of Thor. It shows how the Indo European tribes were all connected at one time. He's often shown as blonde or red haired. Muscle man type. I have always wanted to see John Byrne draw the Russian God PERUN., He's like a Rus version of Thor. Almost happened. When I was doing JK4W, I had the Norse gods appear. I gave brief thought to having the Russian equivalents in their stead, but then I decided the impact of having THOR step into the midst of the New Gods was too good to miss! 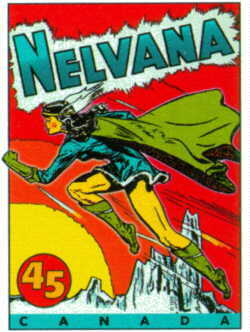 I wonder if Nelvana animation studios took their name from the comic, or the mythological Nelvana? I haven't read the alpha flight character's adventures in years so I have no idea what Marvel is doing with them nowadays. The character Perun showed up late in Gruenwald's run on Captain America as part of the Supreme Soviet team, and then later in the Soviet Super Soldiers one-shot. Interesting look to the character. Greg, If you have a picture of the way PERUN looked in those comics then please consider posting it. I would love to see how they portrayed him. "I wonder if Nelvana animation studios took their name from the comic, or the mythological Nelvana?" I have it from an employee of Nelvana that it's from the comic. They may even have the rights to it, but I know they have used the comic in some of their promotional materials. According to Library and Archives Canada, Nelvana does indeed own the copyright to Nelvana (and Johnny Canuck). Okay scratch that. The copyrights are crediting the reproduction of illustrations of from "The Great Canadian Comic Books" by Micheal Hirsh & Patrick Loubert, Nelvana Ltd. 1971. Who knows, maybe the characters are public domain like the great Canadian Hero Mr. Monster was. This is fascinating stuff. 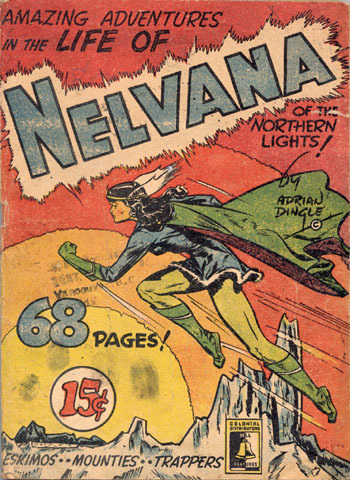 Would love to read the original Nelvana stories. Cover looks very 'Flash Gordon' Dale Arden like. That's not a cover, it's a commemorative stamp. similar description of the Great White North? Now you'd think I'd have cottoned on with the large 45!! Can't see the cover JB?? Do you think its Alex Raymond like? See it now m'lord!! Looks fab! Thanks for that. That line of copy at the bottom had me cracking up! As I scanned the cover, and before I ran into JB's comment, I mentally finished the sentence ". . . this comic has it all!" Sean - I agree. Very Alex Raymond! Eskimos, mounties, trappers, that's all you need eh? That and beer.